Hilton Garden Inn Brussels Louise has opened to guests in Belgium. The 143 room property is located in the heart of the city, in the art deco quarter of Brussels close by to the European Parliament. 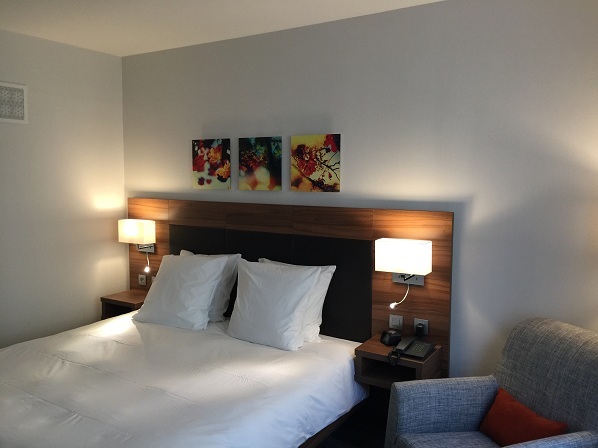 “We are delighted to bring the Hilton Garden Inn brand to Brussels and to be able to serve the many tourists and business travellers who visit each year. “It is exciting for Hilton Garden Inn to have presence in such an important European city,” said John Greenleaf, global head, Hilton Garden Inn. Hilton Garden Inn Brussels Louise is ideally set just off the beautiful Avenue Louise, the city’s upscale shopping area. The property is also within close proximity to Brussels International Airport and the Brussels South Station is just two metro stops away. With its 53 junior suites and seven two-bedroom suites both with kitchenette, Hilton Garden Inn Brussels Louise offers the perfect combination for both short and extended stays. “The new Hilton Garden Inn is the perfect base for leisure travellers coming to explore the city, business travellers attending a nearby meeting and extended stay guests,” added Joris Cammaer, general manager, Hilton Garden Inn Brussels Louise. “Just a short walk from the hotel are the main tourist sites and museums of Brussels: Grand Place, Royal Palace, Magritte Museum, and Royal Museums of Fine Arts of Belgium. “We can’t wait to welcome guests and show them what Hilton Garden Inn has to offer”. In addition, Hilton Garden Inn Brussels Louise boasts the Lounge Bar which serves hot and cold drinks, special draft Belgian beers and a small bites menu. The Pavilion Pantry is also available, featuring a complete selection of salty snacks, sweet treats, cold beverages and frozen items, open 24 hours.